CW has decided to give Crazy Ex-Girlfriend an extended 18 episode-order its 4th and final season, SpoilerTV has learned. In the final season, Rebecca is in some ways like a baby chick that’s about to tumble out of the nest and in other ways she’s that friend who is searching for enlightenment and kinda can’t stop yammering about it. As always, Rebecca’s actions have had unintended consequences for her West Covina friends -- Nathaniel feels betrayed by her, Josh is taken aback by her, and Darryl is parenting her baby. Paula, Heather and Valencia remain staunchly by Rebecca’s side but they are busy finding their own identities (as a law student, regional manager and kickass party planner, respectively.) Will everyone be content to stay in the nest with Rebecca? Or will they start to transcend the sunbaked, boba-strewn purgatory that is West Covina? The answer to these and other questions lies in this season of Crazy Ex-Girlfriend as themes of redemption, recovery, responsibility, rebirth, renewal and reality and other words that begin with “R” will bring our ultimate “R”, Rebecca, to the satisfying end of this chapter of her life. 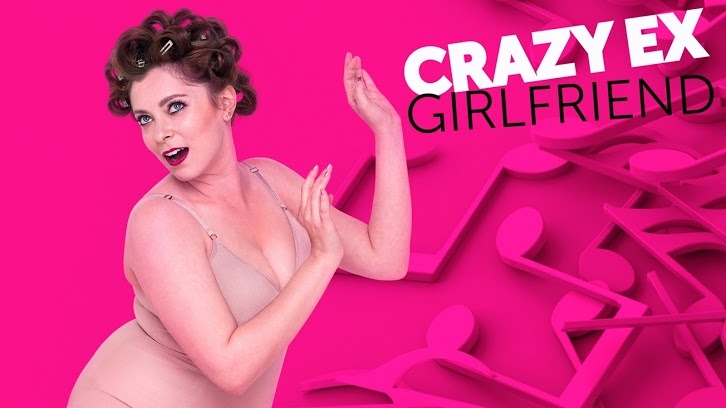 Season 4 of Crazy Ex-Girlfriend premieres October 12th.